Column: If the president and his chosen lieutenants of foreign policy are unable to govern, then Congress must act to deal swiftly with their incompetence. 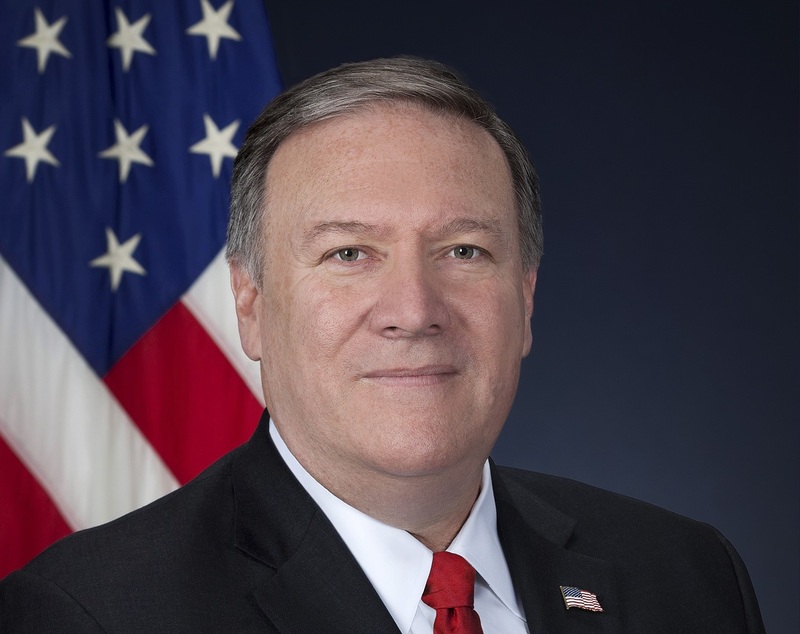 Secretary of State Mike Pompeo’s speech in Cairo last week was as desperate as it was boring and uninspired. When I was born, America was the moral leader of the world. The Evil Empire known then as the Soviet Union was engaged in a bloodthirsty conquest of the homeland of my father’s ancestors, Afghanistan. Ronald Reagan, an otherwise pernicious politician, had continued the policies of his predecessor Jimmy Carter in fulfilling America’s moral obligation on the world stage to stand with a people being subjugated by a soulless world power. This time period, the 1980s, was in many ways the height of the idea of Pax Americana. The world had largely forgiven us for what was considered by many foreign observers to be empire-building in Vietnam, and now saw us as the great red white and blue hope to counter the bloody path of communism. This was a calling that the United States actively took on with great pride, if not always a full understanding of the world stage. It made sense both morally and economically for the United States to shoulder this responsibility. Over the course of the next 30 years, America’s moral authority both rose and dimmed following the collapse of the USSR. Our interventions in the early 90’s in the Caribbean, Latin America and the Middle East were seen as half-hearted police actions with a tinge of unilateralism. Our courageous stand to save Muslim lives in Bosnia and Kosovo, and willingness to employ the mystique of American military might for what was clearly an unselfish defense of human rights was hailed across the world as the ushering in of a new American way in foreign policy. America’s honor as a selfless world power had never been greater. Since that time, America’s foreign policy considerations have been continuously undermined with the fear of another terrorist attack on the US soil by foreigners in the style of 9/11. At the urging of an irresponsible Chief Executive, we have become emotionally invested in fearing the very immigrants who built America. Building walls and halting the flow of refugees from war-torn lands like Somalia and Syria are effective talking points for a politician in a third world autocracy. They do not and should not, however, be the main focal point for the office of the president of the United States. We are a world power. There is an incredible responsibility attached to that power. As the rise of authoritarianism and the spread of war, chaos and untold human misery spread across the globe, many of our allies and would-be friends stand with their mouths ajar while wondering: in disbelief. Where is the America that once stared down the Evil Empire? The time is now. If the president and his chosen lieutenants of foreign policy are unable to govern, then Congress must act to deal swiftly with their incompetence. More than hearings and political rhetoric, Congress must deploy its full arsenal to right the ship of our democracy, and assure the world that the darkness growing in Eastern Europe and Asia will not go unchecked. America’s hangover will soon be over must end soon. We are ready and eager to help lead a brave new world once again. How nice and how true it is, “A slave is more ROYAL than the king”! There are lots of great Americans who tell us how immoral US is so far her self interest and political morality are concerned in the the hidden structure of US imperialism but a slave can never fathom it. This article one needs to read it to understand this maxim (A slave is more royal….) candidly.